On the 13th of December Phoenix Sun will rise from the ashes! Phoenix Sun is based on the ancient legends of the Phoenix bird. This mythological creature is said to live for thousands of years, eventually bursting into flames and being reborn from the ashes. In similar fashion, our Phoenix Wild will trigger reels to open up for respins and more bet ways. The game shifts between 3 and 6 rows in height, and 243 to 7776 bet ways. 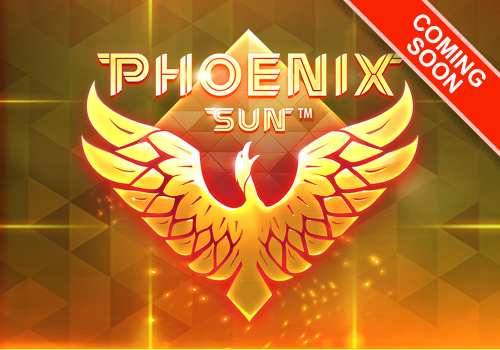 Gather 5 Phoenix Wilds during respins and watch them set the reels ablaze, only to rise again along with the sun and a round of 8 Freespins.